We’ve all been there, you wind your child and yet she continues to be gassy, causing pain, discomfort, and crying. It’s heart-wrenching to experience and to know what to do for the best. Yet there are steps you can take to minimize gas and reflux during and after feeding. There are formulas specially designed to reduce both gas and constipation, too. Of course, you may be hesitant to make the switch from breastfeeding to formula. However, if your child is suffering, the benefits of breast milk could be completely outweighed by the gas issues. We got together with a few other mothers in the same situation and put together this list. We hope it will help you find the best baby formula for your little one. 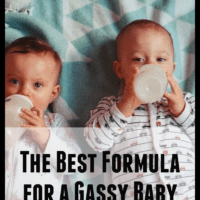 What Is the Best Formula For A Gassy Baby? Quite often, sensitive tummies are a completely normal part of your babies development. Children at certain stages of their development might suffer from allergies, gas, reflux or find some formulas unpalatable. 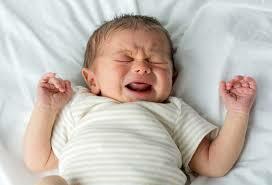 Some babies also suffer from acid reflux due to the type of formula used. You might have to use a bit of trial and error to find the best formula for your baby. 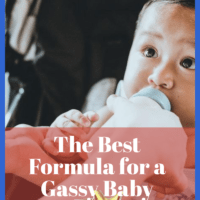 So the best formula for a gassy baby will really depend on your little one! We hope our suggestions will help! Similac is a very popular infant formula for a gassy baby and those with sensitive stomachs. Many parents say Similac was the only infant formula that their child was able to drink without issue. Millions of babies all over the world have been brought up with Similac. This sensitive infant formula has been specially designed to be gentle. It’s great for reducing the acid and gas that newborns experience. Infused with Vitamin 5, DHA and Lutein, it has all the important parts of a infants diet. It also offers Omega 3, Omega 6 and ARA for healthy brain development. We found Similac to be very gentle and it helped reduce gas. A standard amount of winding was all that was needed to keep the baby happy. It also reduced pain and discomfort, making our home very quiet! Similac Sensitive is quite expensive, yet it’s hard to place a value on quiet nights and a happy baby. The good news is Amazon sometimes has money-off coupons and you can check their latest price here. Enfamil promises your baby’s gas will reduce within 24 hours of using this product. It’s an impressive claim, and we’ve found many reviews that appear to back it up. Just like Similac, it includes nutrients like DHA, Calcium and Omega acids to help your baby develop and grow properly. It’s also been formulated to reduce reflux and gas. We found Enfamil worked on gas perfectly, reducing symptoms within a few days. However, we’ve seen reports that Enfamil is useless for children that are suffering from full acid reflux. This is something we couldn’t test ourselves. If that’s the issue you’re dealing with, it’s something to be mindful of. One thing we’re really impressed with is the price. It’s slightly cheaper than Similac and could be a money-saving alternative. Vital® AF 1.2 Cal™ Ready to Drink Vanilla Institutional 237mL Can -24 ct.
Gerber say that this formula is perfect for a gassy baby and those with sensitive tummies. 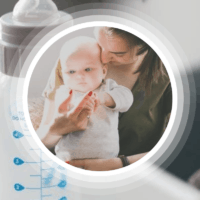 They have added “Content Proteins” to help your baby drink it more easily. This formula is also said to soften stools if your child is frequently constipated. It offers all the vitamins and nutrients you would expect. We found the Gerber formula was easy to drink for our baby. It could also be a great way to transition your child from breast milk. It does also come in pre-mixed bottles too which is especially useful if you’re feeding your child on the go. When using Gerber “Ready to feed” our baby’s gas was reduced. Whilst we couldn’t test against acid reflux issues, online reviews appear positive. Many other parents report success in reducing acid reflux in babies. We also like the idea that corn syrup is not an ingredient used in Gerber Read-to-Feed. Another Enfamil product, “Prosobee” is a formula based on soy, rather than lactose. If your child’s gas or reflux issues are caused by lactose intolerance then this is a great formula. 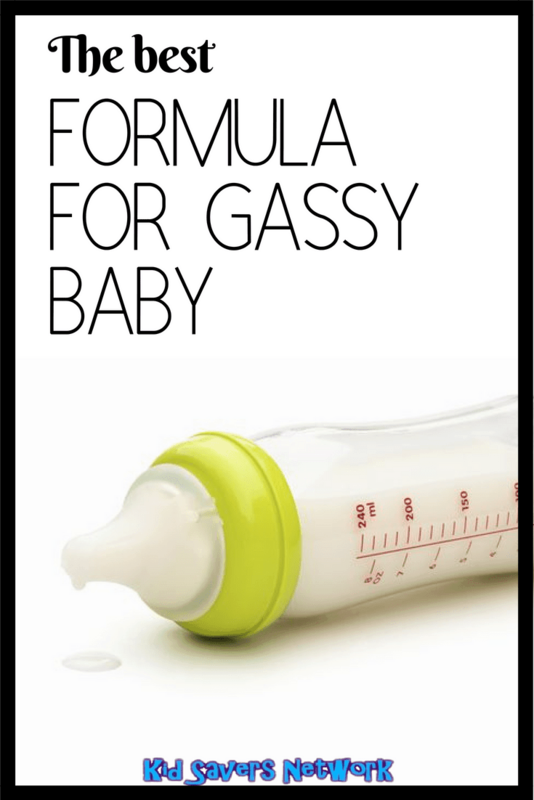 This formula is basically the same as Gentlease, helping to reduce gas and/or reflux in all babies. Of course, your little one’s gas might be completely down to lactose, which should make this product an instant winner! We were able to test this formula on a child that was known to have milk allergy issues. ProSobee has been a complete winner for this child. He didn’t have any of the gassy issues that he had when drinking traditional milk formulas. If you’re struggling to cure your child’s gas and discomfort, you should consider a milk allergy. Give Enfamil ProSobee a try and it could just save the day! Nutramigen with Enflora LGG is specifically designed to target the causes of colic due to cows milk. It’s a Hydrolized Protein formula, and some doctors recommend these as a good formula for acid reflux and food allergies in particular. Nutramifen with Enflora has been specifically created to increase your babies ability to tolerate milk over a period of time. We couldn’t test Nutramigen personally, as it’s such a specific problem designed to deal with particular medical issues. However, plenty of online reviews praise Nutramigen for helping improve colic, gas and reflux in their infant. It’s been made with the probiotic LLG infused into the recipe. This allows your child to digest cows milk far easier. The most important thing to realize about Nutramigen is that it’s not suitable for all babies. If your infant has been diagnosed with a milk allergy, (and please visit your Physician to check this!) Nutramigen could well be the best baby formula for this. You can check the price online here.